Online hoaxes are becoming more sophisticated, making it very difficult to identify whether an email, SMS or website is real and genuine. 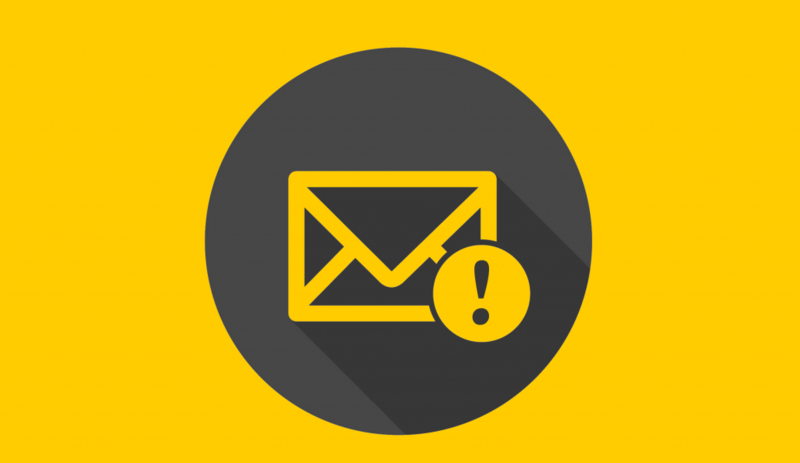 It’s important to learn how to spot the fake emails so you and your business stay safer online. Scam emails often include “too good to be true” offers, such as lottery wins, surprise inheritance and unsolicited job offers. People and businesses may also receive emails requesting payment for products or services they did not purchase. You’ve likely never heard from the sender before, but the email will try to imply a connection. To use a false affiliation or unbelievable offer to trick you into giving them money. Often will try to encourage you to reply to the email. You do not know the sender (even if their email suggests they know you, you can’t recall the affiliation). The email presents an unrealistic promise or offer. The email requests payment for a purchase you did not make. If the sender, product or service doesn’t seem familiar, ignore or delete the email. Do not reply. These emails are disguised as communications from a trusted source, such as a bank or known affiliate like Booking.com. It may contain their branding or even replicate their common email format. To convince the recipient that the email is from a trusted source, in order to obtain payment details or confidential information. The “from” name may state that the email was delivered from the trusted source, but the email address will be slightly different. If it’s not from an email using their official website domain you should be on high alert. An example of this would be an email coming from invoice@booking-ltd.com instead of invoice@booking.com. Incorrect logos or slightly different design. Generic salutation such as “Dear Sir or Madam”, or use of the business name instead of addressing you personally. Banks and genuine affiliates will know your name. If the reason for the email is a surprise, such as an overdue payment reminder when your account is up-to-date. When logging into a trusted website, always look for “https” at the beginning of the URL. The “s” stands for secure. Check for the padlock symbol in your browser’s address bar. This also means the website is secure. Make sure the URL is genuine. Hoax emails often link to a hoax website with URLs similar to the real one, but different. Enter website URLs straight into your address bar. Don’t reply on links within emails as they could be fake. The people behind phishing emails are experts in manipulation. They will use urgency to convince you to open a deceptive link or attachment before you have time to consider the consequences. An example of this would be an email with the subject line “FINAL NOTICE – IMMEDIATE PAYMENT REQUIRED” containing minimal description and referring to an invoice attached. Without hesitation many will open the attachment to see which payment is overdue, but instead it allows software to be installed on your computer. They may also include a link to a malicious website with the same outcome. To use pressure and quick emotional responses to trick the recipient into making a payment, visiting a malicious website, or to open an attachment containing a virus or spyware. Urgent or upsetting statements demanding your immediate reaction. Requests for payment or your financial/personal information. They often use a generic greeting in their emails, such as “Dear user”. Always check the “from” name and email address. Never open attachments or click links from senders you do not know and trust. Beware of false links. Just because the text says “www.google.com” does not mean that it will direct you to Google. For example, here I have created a link with text facebook.com which instead goes to Twitter when clicked. Always hover your mouse over links to see the true destination before clicking. If the address looks suspicious in any way, do not click! What other types of malicious emails have you received? Tell us about them in the comments so other readers can be warned to look out for them!